Johan Moir graduated with his Bachelor of Improvisation at the Academy of Music and Drama, in Gothenburg, Sweden 2011. Johan has toured with various groups in Sweden, Norway, Estonia, Denmark, Poland, Australia and Palestine performed at a variety of festivals and venues including Bennets Lane (AUS), Uptown Jazz Café (AUS), GMLSTN JAZZ (SE), Luleå Blues Festival (SE), Make It Up Club ( AUS), Nefertiti (SE), Horns Erben (DE), Hagenfesten (SE), Alchemia (PL), Philly Joes (EST), Tartu Jazzclub (EST), Jöhvi Concert Hall (EST). Johan has performed with artists such as Emilio Gordoa (MX/DE, Mattias Windemo (SWE), Naoko Sakata (SWE/JP), Luke Sweeting (AUS), Reuben Lewis(AUS), Alice Hue Sheng Chen (AU/TW), Nigel Brown (AU) and Joel Remmel (EST). Johan is the composer and bandleader for his own quintet called The Johan Moir Ensemble, is equal partner in the Swedish / Australian quintet SVELIA, as well as being the 2nd half of the alternative pop duo Mother Jack. 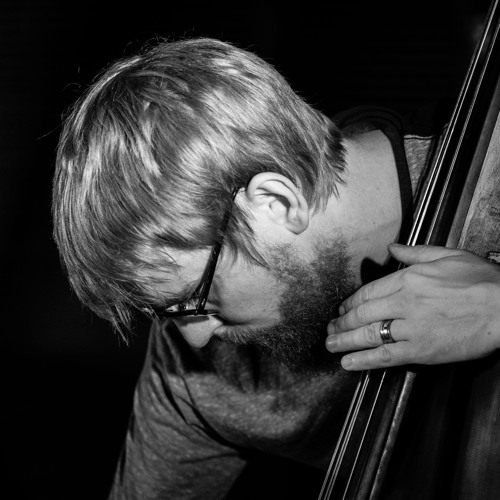 Johan is also venturing out on his solo project where he explores acoustic improvisation on both the double bass and the trumpet. Johan is one of the directors of the label ‘HearHere Records’ and has also been co-organizing the festivals "SUBURBIA" and "HEARHERE FESTIVAL"